Toward the beginning of the year I had lunch with my friend Hilary Wardaugh, an accomplished photographer around Canberra, and she described a project she was putting together. Hilary explained that she had a Nikon FM-2 manual film camera with a 50mm f/1.8 lens laying around and was planning to load a film into it, compile a list of photographers and pass the camera to each photographer and ask each one to take a picture. Once the picture has been taken, it became the photographer’s responsibility to contact the next person on the list and arrange to get the camera to them. At the end of this process, about 3 months, Hilary will get the film developed and scanned. 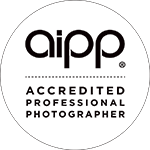 Each photographer will their digital negative and can process it as though preparing a print in the darkroom … that is curves and levels and filter colours but no pixel based PhotoShop edits et al. The processed negative will be passed back to Hilary who will then arrange printing of the image for the purposes of exhibition. Two shows are currently lined up for the prints, one local (at the Huw Davies Gallery in Manuka) and one in Sydney (as part of the Head On Photo Festival). 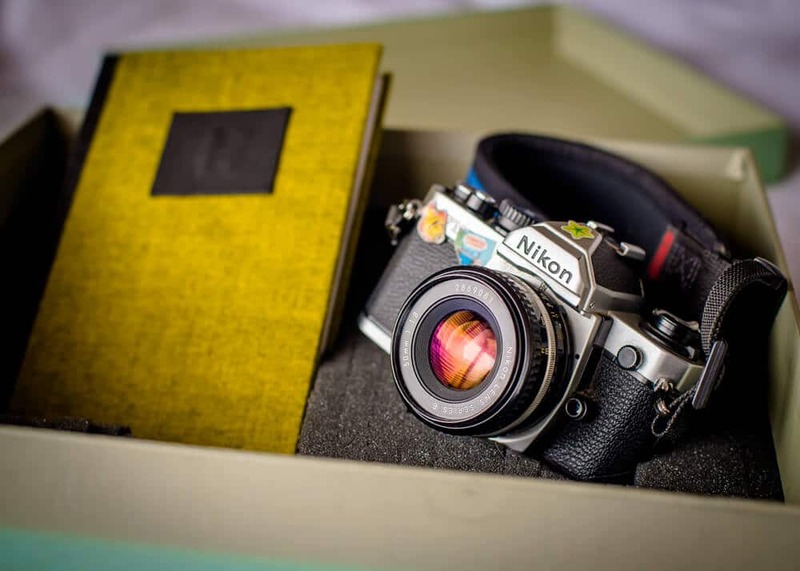 The camera travels in a box containing the list of photographers, a cable release and a book in which the photographer is encouraged to write a short piece about their picture. The project is called The One Project. So far so good… the only stipulation was that our picture had to be a portrait! I wanted my portrait to be of my artistic collaborator Marina. I have photographed Marina extensively over the past two years and together we came up with the idea that often you only have an impression of someone through the images you see of them. So I put together a grid of photos I have taken of Marina and projected them digitally across her face and arms and splashed across a dark background the pictures resemble stained glass. I set my digital camera to emulate the manual settings of the FM-2 and to act as a light meter for correct exposure. The effect is one of an essentially dark shadowy image with bright pictures shaping contours but … visible upon closer inspection … you see Marina illuminated and looking out from the shadows. It looks great. But I would like to thank both Hilary and Marina. Marina firstly for being my muse and sharing her art, ideas and vision so freely with me … my world simply wouldn’t be the same without her in it. And Hilary for coming up with the idea of The One Project and making it happen, for the necessary artistic angst and discipline (well OK maybe I didn’t take home all of the discipline lesson) this project inspired in me. It sounds itriguing. I am really, really looking forward to seeing it. And I love that you are prepared to take risks. The rewards are big, as (too often) are the frustrations. I’m looking forward to seeing it too Sue though I won’t get to see the how the shot exposed until late November! I like the idea of the project and that the camera comes with a little story book. But one frame per photographer and then a portrait – that’s quite a restriction. You probably remember that I have the Nikon FM2N and also the Nikkor 50mm f/1.8 lens – it really is a great camera, worth to take more than one shot with it. Right now I’m thinking, it would probably also been nice to use double exposure for a portrait. Maybe one of the others has done that. Well, we’ll see in a couple of months, I guess, if the pictures from that roll of film are also shown online somewhere. I guess the restriction is what tightens the creative focus of the photographers involved … I believe the pictures will be available online … they’ll be digital negatives supplied to the project (I detect a certain irony in here somewhere 😉 ) after all … I will have a chat to Hilary about an online gallery of the portraits. great idea!! i love such projects! and i really hope we’re going to see that pic one day!